Gallery Project’s mission is to provide a venue for contemporary art that is culturally aware, individualistic, courageous and thought provoking. After completing eight years in its downtown Ann Arbor location at 215 South Fourth Avenue, Gallery Project has chosen to look for larger spaces, especially in Detroit, for its exhibitions. For example, the Drones exhibit will be at the 38,000 square foot Cornerstone Pointe building in the historic Eastern Market, as well as at the Ann Arbor Art Center. 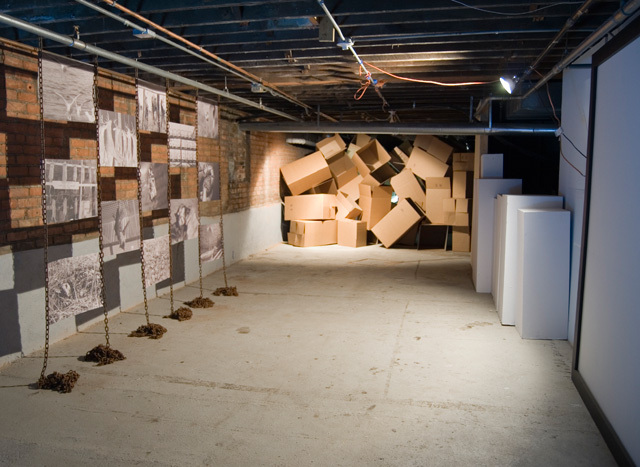 This dual-site exhibition will first be in Detroit, Michigan, October 11th through November 24th, 2013 in the Cornerstone Point building located at 2431 Orleans Street. 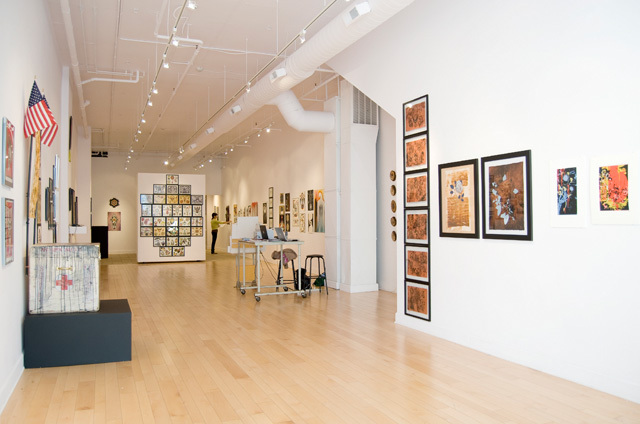 Consecutively, it will be in downtown Ann Arbor at the Ann Arbor Art Center located at 117 West Liberty, from January 3rd until February 16th, 2014. The Detroit site is an industrial 2-story building affording ample space for large-scale installations, projections, and sculpture. The Ann Arbor site includes upstairs gallery space, first floor window space, and an exterior wall for a large mural. It also has a daily flow of numerous gallery visitors. Drones will be our first dual-site exhibit after completing 70 exhibits over eight years at our South Fourth Avenue location in downtown Ann Arbor. The collaborators volunteer their time and expertise to curate exhibits, work in the gallery, and take responsibility for an aspect of gallery operations, such as graphics, website design and maintenance, press relations, development of promotional materials, and planning public functions. The gallery is supported by a few patrons, several fundraising events, the sale of art, and many individual contributors.